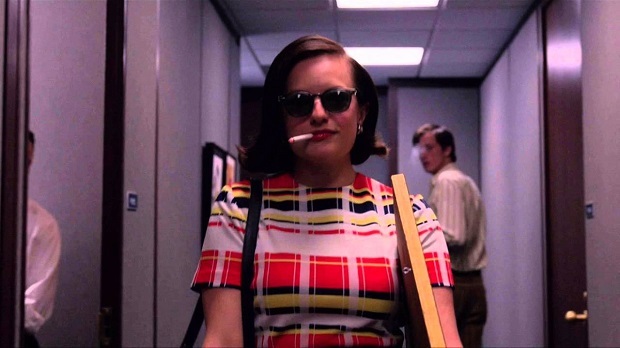 No, I didn’t actually talk to Peggy Olson, but I got the next best thing. I talk to my new friend Caitlin about her history of work in the advertising industry. As a business marketing major, and having gone to college near a lot of ad agencies, Caitlin decided to give advertising a try. She started as a greeter, and worked her way up into account management. And on this week’s show, Caitlin gives tremendous insight into the variety of jobs that happen inside an agency, the frequently insane work schedules associated with large accounts, and the unique pressure of executing a Super Bowl ad. That’s right, while we don’t name the client, rest assured it’s a company you’ve heard of and had a multitude of experience with. And they’ve got a Super Bowl ad pretty much every year, so hearing first hand about the experience was a delight, indeed. We also spend some time talking about the nightmare of filming a “cheese pull,” anthropomorphizing inanimate objects when you film them, whether or not Don Draper is actually a good ad man, and a ton more. Caitlin is an absolute delight, and this conversation is as fun as it is insightful. Download it on iTunes, stream it on Stitcher, or listen at the Jon of All Trades homepage.